Now in his 26th year as a racehorse trainer, Jeff Lowe meets a respected horseman with a boutique barn on the up. New research on the impact of EIPH from an Australian perspective but with worldwide implications, by Ellie Crispe and Guy Lester. Now entering his third season, Alex Campbell talks through the Woodbine-based trainer’s goals and visions for his barn. Judy Wardrope profiles six elite racehorses, examines their conformation traits and asks what made them great racehorses. Powell discusses his career to date and shares his concerns with Ed Golden about the decline in breeding of Thoroughbreds in The Golden State. The lengths that different tracks are going to maximise fields for their races, by Bill Heller. Profiles and mini-biographies for owners whose horses have been featured on the “Road to the Kentucky Derby” by Bill Heller. Would mandatory layoffs for horses be a good thing? Denise Steffanus investigates. Peter J. Sacopulos focuses on insurance protection for trainers and riders, equine liability laws, and proper safety procedutres and equipment. Catherine Rudenko looks at how to deal with cases of “exertional rhabdomyolysis”, otherwise known as Tying-Up. Emily Shields talks to Mick Ruis about his expanding breeding program in Pennsylvania. 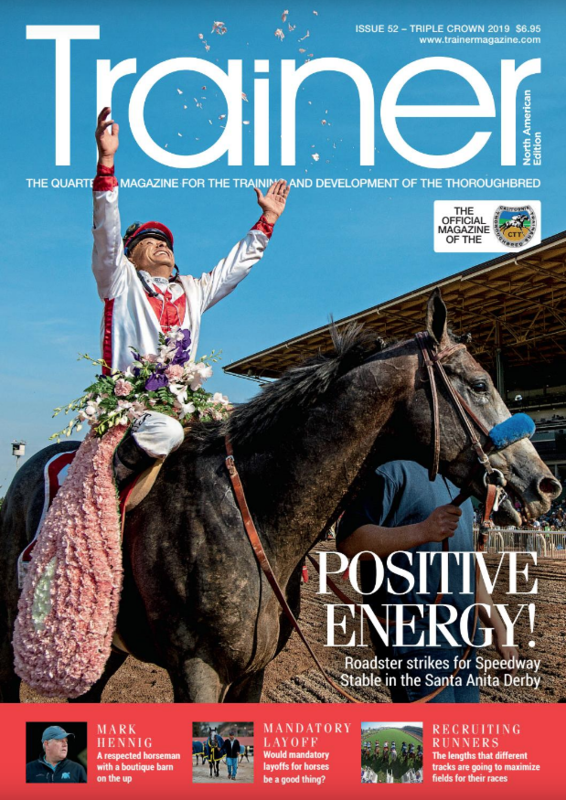 #soundbites - this quarter Bill Heller asks: Is there too much racing?